As much as I rag on Wear OS for being a sad platform that has failed to evolve, mostly because Google mistakenly attached itself to Qualcomm as the main chipset provider, I do now wear a Wear OS watch every single day. 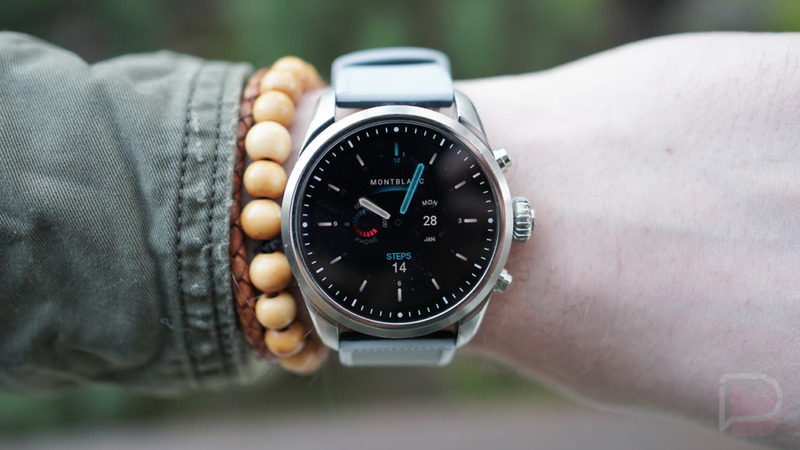 I’m actually quite a fan of Wear OS, if you can believe that, and switch between a Fossil Sport (review) or Montblanc Summit 2 (review) between battery charges. I think most of my appreciation for Wear OS stems from my love for mechanical watches. A great timepiece really can be the ultimate fashion accessory and that can be the case with a nerdy smartwatch too. 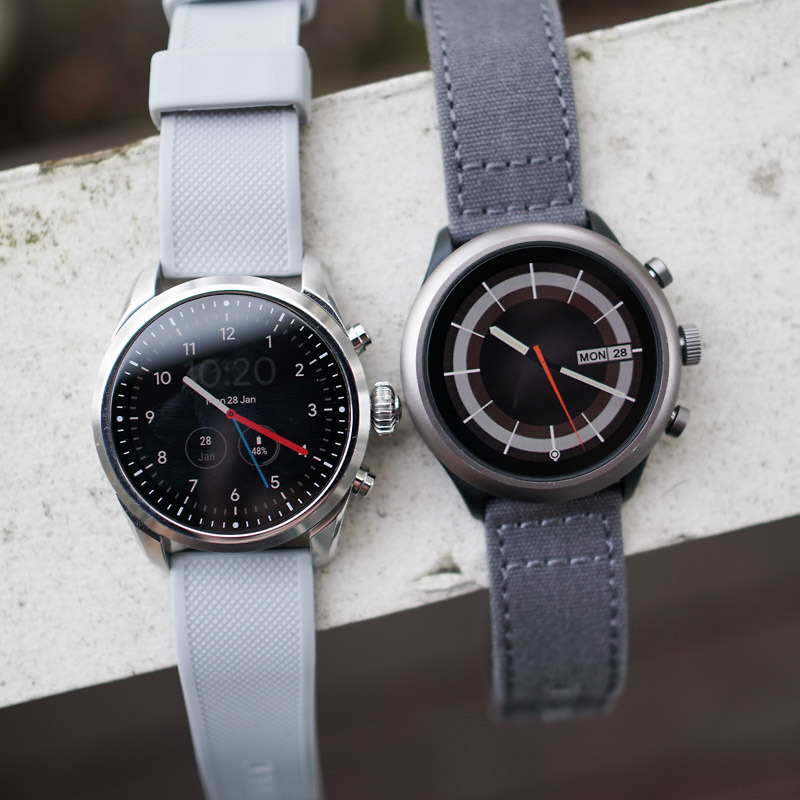 Which brings me to today’s topic on how best to dress up your Wear OS watches. 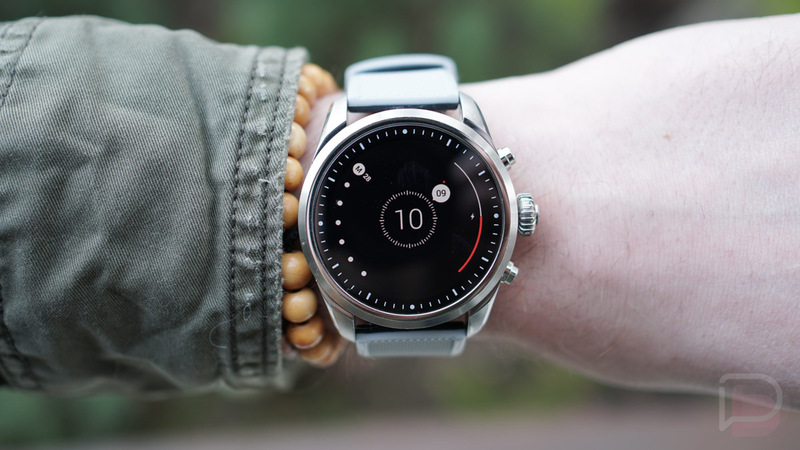 Yep, we’re talking best watch faces for Wear OS. Below, I’ve got 5 of my favorite Wear OS watch faces that I regularly rotate through. Now, these are single watch face downloads, not the watchmaker apps or stores that offer multiple options. While I’m a fan of some of those (like Pujie Black), sometimes you just want all of the work to be done for you out of the box, in a single download, and that’s what I’m showing off here. The A/D Watchface probably gets the most run on my watches at this time. 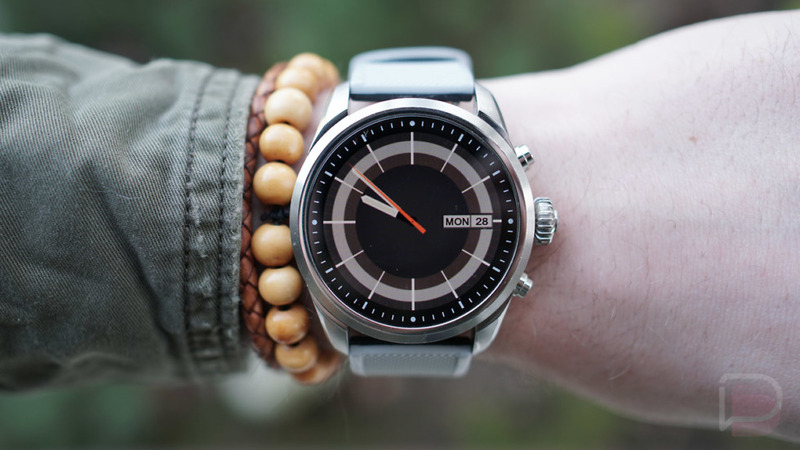 It’s super clean and minimal, offers just the right amount of adjustable settings, and will help your Wear OS watch look more like a traditional watch than most. As you can see in the shot above, you can customize a couple of complications, change hand colors, choose from different fonts, tweak ambient settings, choose smooth or ticking second hand, and more. This is a must have watch face. A/D is free with an in-app purchase to unlock all features. 70s Watchface is probably my all-time favorite for its simplicity and cool retro vibe. 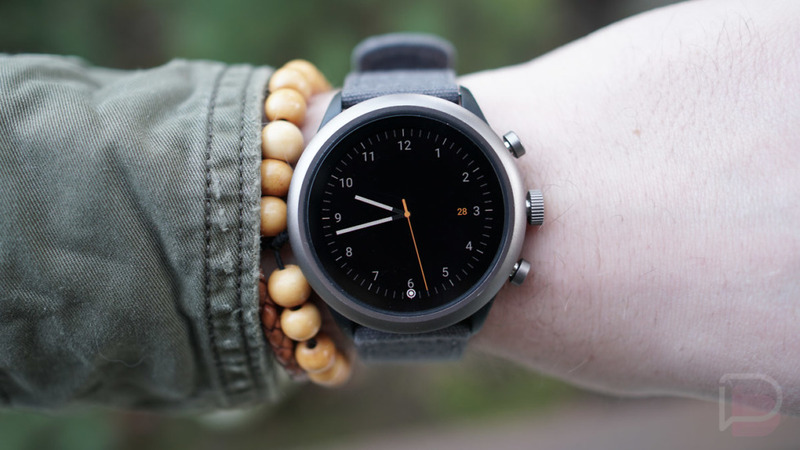 It goes great on almost any round Wear OS watch and most bands outside of your classic black rubber. It has few options outside of four different color profiles. That’s all you can change, but it looks so nice that I don’t care. Over the years, 70s has spent more time on watches than any other I’ve downloaded. Like 70s, Dieterist offers little customization. In fact, the only options you have to pick through are three different set of hands. You can’t change the color, choose complications, adjust the ambient mode, or anything else. So, to appreciate this face, you’ll have to love a minimal appearance and the color yellow. If I’m feeling a little more complex, I’ll choose one of the watch faces from Zuhanden, like Odyssey. All of this developer’s faces are solid, but this one has a bunch of settings to play with like accent color, brightness in both ambient and interactive modes, etc. Unlike the other watch faces I just ran through, this very much finds a nice balance between traditional timepiece style and smartwatch tech. It does cost $0.99, but it’s 100% worth it. Finally, if you want to ditch the minimal timepiece styling I keep showing and go a little deeper into the techy side, Radii is a solid choice. It’s minimal, yet isn’t confusing to look at. You can quickly pick out the time, date, and your battery level without having to think about, unlike so many watch faces. It does offer just the right amount of settings too. You can choose between colors for foreground, background, and accent, plus there is an option to “always stay colored,” which is like a amplified ambient color mode. 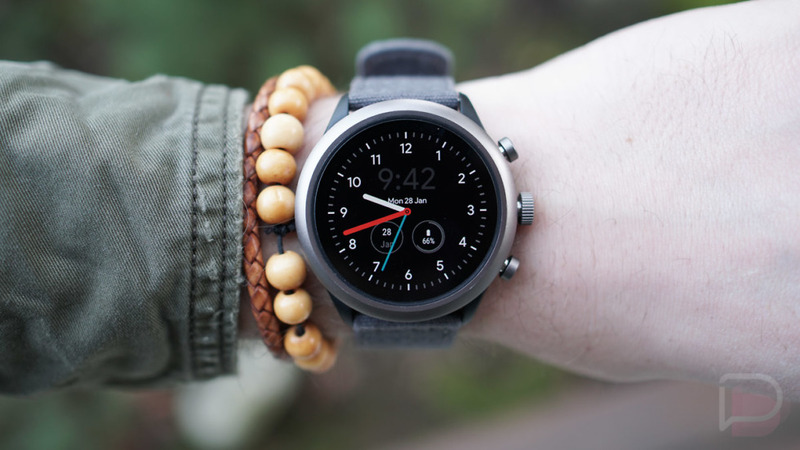 If you don’t like the 5 watch faces I showed above, your next stop in Wear OS watch face land should be through the links below. The three major watchmaker stores are Pujie Black, Facer, and WatchMaker, all of which will give you a ton of choices with infinite customizations. Need a watch band recommendation, like the two I’m showing here? I’m a big fan of Barton’s canvas (buy) and silicon (buy) straps. They are inexpensive, come in a bunch of different colors and widths, and are great quality. What Should Android "Q" be Called?